Dimension's software technology turns ordinary SD & HD video into beautiful 4K & 8K footage! Dimension has developed a one-of-a-kind core technology based on its patented Photometric Warp image reconstruction technology, introducing a quality of video and speed of transfer not seen before in the video technical arena. Dimension's latest breakthrough resets the industry standards with HD-to-4K/120fps and HD-to-8k/90fps at less than single frame latency. HD → 2K → 4K → 8K and beyond! Soon to be available as a Cloud-based SaaS (Software as a Service) application! Is Your Media or Software Company Attending CES in 2014? Dimension, Inc. to use NVIDIA's GPU's for upscaling. Dimension, Inc. granted patent for fractal compression technology. Dimension, Inc. files for patent on its upscaling technology. Dimension upscaler technology incorporates a proprietary (patent pending) Photometric Warp (‘p-Warp’) superresolution technique affording critical advantages in terms of: (1) reconstruction processing gain and (2) algorithmic/architectural scalability. These advantages accrue as a direct consequence of p-Warp superresolution formulation in terms of nonlinear image processing mathematics. As such, nonlinear image processing enables efficient and accurate reconstruction at a reduced algorithmic complexity when compared to alternative design approaches such as Machine-Learning and AI. Taken together, all advantages combine to make AR/VR and real-time streaming of upscaled video content a practical reality at ‘HD-to-4k’, ‘HD-to-8k’, and beyond. 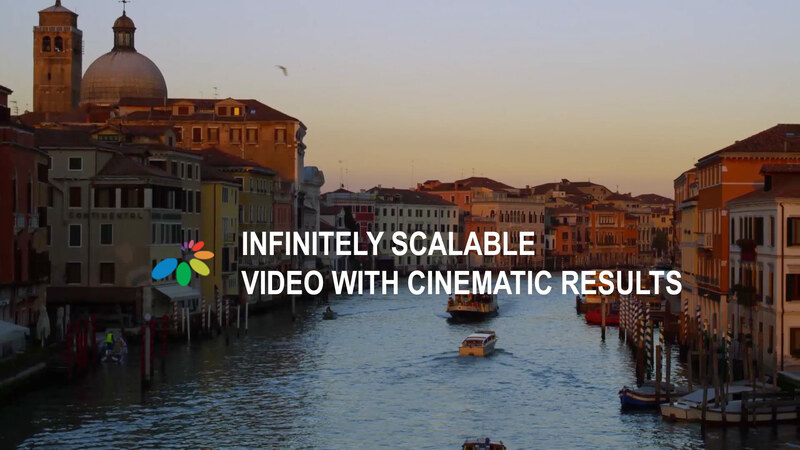 Dimension’s Photometric Warp Superresolution technology offers the highest real-time performance of any upscaler available in the marketplace. In terms of efficiency, throughput, and quality, Dimension remains unsurpassed by any other streaming-video solution. Dimension launched in December, 2007, with the goal of creating a compression/decompression codec capable of producing industry leading quality in video sizes from cell phones to digital cinema screens. Dimension achieved this goal, beating out h.264, Motion JPEG2000 and the other codecs commonly used at that time. Dimension was awarded a total of 5 patents on its fractal-based technology developed by its team of world class experts. While industry adoption of this codec was hindered by hardware speed limitations at that time, there was widespread acclaim for the unsurpassed quality of the video products. Subsequent developments led the Dimension tech team to introduce a brand new Super-Resolution code tailored to the changing landscape of video user requirements. Once again, having the highest quality video output was our goal. We produced an industry leading video product, this time without any significant hardware limitations. With Dimension Photometric Warp Superresolution, we can now deliver to our customers the fastest upscaling speeds at the highest quality in the marketplace: HD-to-4K/120fps and HD-to-8K/90fps at well less than single frame latency. Next milestones include: (i) HD-to-8K/120fps, (ii) FPGA-based stream processor implementation, and (iii) code-port to Cloud-based SaaS. Our first patent on this new technology was filed in August, 2018 with another two daughter-patents in process. In anticipation of Dimension upscaler technology adoption in the marketplace, we’re looking forward to an exciting 2019! If you are interested, Dimension upscaler technology is presently available. Please see contact information for any queries. Demonstrations and solutions are available today. Copyright © 2008-2019 Dimension, Inc. All Rights Reserved.